The new iOS 4 (formerly iPhone OS 4) is without any doubt a major update for the iPhone and iPod touch, bringing tons of features like organizing apps in folders, multitasking and so on. The new iPhone 4 will of course ship with this new version of iOS come June 24th (or 23rd for some). On the iTunes App Store, developers have already started submitting their iOS 4 ready apps, and first of these apps have now started appearing in the App Store, just in time for that big iOS 4 update that everyone has been waiting for. The most talked about feature of course is multitasking. We all have been waiting for it for a long time now and we have to say that Apple really knows how to get things done the right way. Here is a list of some of these (new and existing) apps which are ready for iOS 4, with true multitasking capabilities. 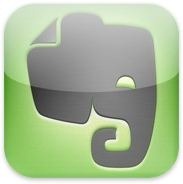 Evernote has to be one of the best note taking app for the iPhone, and now they are taking it further with complete support for iOS 4. Evernote is now fully background aware and now you can record your audio notes while the app runs in the background, how cool is that? 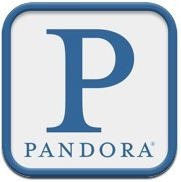 Pandora Radio is your own free personalized radio which can stream music on your iPhone or iPad. Pandora was the first app which was demonstrated with multitasking capabilities when iOS 4 was unveiled for the first time. Pandora is also fully capable of running in the background, with iPod music controls widget support in the tray. You can listen to your music from Pandora in the background while you do other tasks like email or web browsing at the same time. 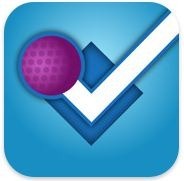 Foursquare is the best way to explore your city and unlock different locations and rewards. According to different sources, the Foursquare app was installed on the iPhone 4 demo units at WWDC 10 and so it supports app switching now and is capable of running in the background but we’re still uncertain what tasks it will perform if it’s background aware. Maybe check in to different places without having to launch the app? This one isn’t out yet, but will be out very soon. 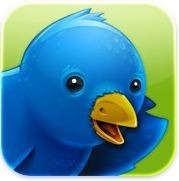 The developer behind Twitterrific 3 has already confirmed that a new version with support for multitasking in iOS 4 (and iPhone 4) has been submitted to App Store. I for one cant wait to run a Twitter app in the background on iPhone. Download Twitterrific 3 from here. The New York Times paper right on your iPhone! Now with support for iOS 4, this app now supports fast app switching so you can zip through different apps and right back to the page you were reading without any hitch. 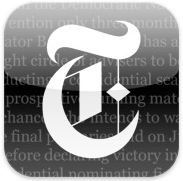 Download New York Times from here. Have an important game going on while you’re on the move? Now with the updated ESPN ScoreCenter app with support for quick app switching, the app runs in the background so you don’t miss a second of your game! 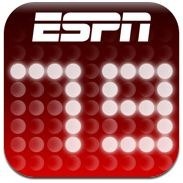 Download ESPN ScoreCenter from here. A social network aimed at professionals, and now with iOS 4 support you’re just a double tap away to connect with 70 million others professionals just like you. 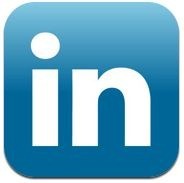 With app switching, LinkedIn app makes sure you’re connected with others all the time. So you’re a photographer on the move and you don’t want to miss a good photographic moment? 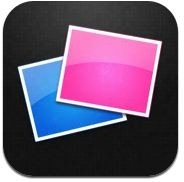 With Flickit Pro and support for iOS 4, your app stays in the background, ready to share your photos with people on the Flickr community. 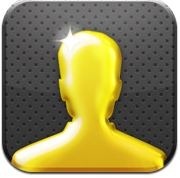 Download Flickit Pro from here. You’re cooking, texting people and checking your email all at the same time on your iPhone in the kitchen, but you want to check your recipes at the same time without launching the How to Cook Everything app over and over again? The new “How to Cook Everything” app is now iOS 4 compatible, with app switching, the app stays in the background and you can hop right back on to it where you last left it! 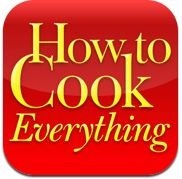 Download How to Cook Everything here. 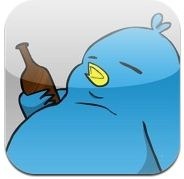 Twitter is all about posting quick status message updates and so Tweetaholic along with Twitterrific 3 are going to be the first of the Twitter apps for iPhone with full iOS 4 support ! The app keeps on running in the background not only for background switching, but also for real time refreshes of your timeline! If you’re a blogger and want to keep track of your twitter followers, RSS subscribers and the number of visits you get all in one place, then Ego app is the way to go! With support for Ember, Feedburner, Google Analytics, Mint, Squarespace, Tumblr, Twitter and Vimeo, you can quickly view the number of visits to your website (including daily, hourly and monthly numbers), feed subscription totals and changes, how many people are following you on Twitter and more. And with multitasking and iOS 4 support, you’re not going to miss anything at all! 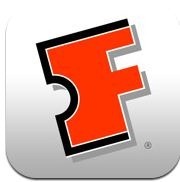 If you’re a movie fanatic and don’t want to miss a beat on the latest movies, then Fandango Movies is the app for you! And now with iOS 4 support, the app stays in the background so you can recall it anytime you want to check out the latest movies in theaters in your area and buy tickets for them as well. Download Fandango Movies from here. What are the odds that you’re editing a video on your phone and you have to check some urgent mails or send a text message and you have to shut down the app? Highly likely that it will happen! But you can say goodbye to that as well! 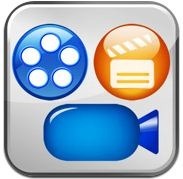 ReelDirector is now iOS 4 ready, the app goes into the background if you want to perform some other task and then you can recall it anytime you want and you can pick up right where you left off, it’s that simple! 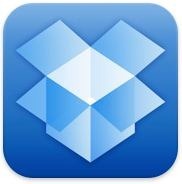 These are some of the few apps which are ready for iOS 4 ! We expect this number to reach in thousands once the iPhone 4 is out this week. Pandora is NOT iOS 4 ready, at least as you say. The app will NOT play music in the background as of now, regardless of what was shown at WWDC. And…just checked the App Store after I commented and there is an update for Pandora, which I assume adds background playback, so never mind. While some of these apps are useful, I doubt I need New York Times and recipes apps running in the background that much. Now if Messages had better background support… There's a thought.